Wow, so this is what it looked like watching Rome burn? Or in our case, farmers’ fields and family taps running dry while Colorado River water managers hole up at Caesars Palace rearranging the deck chairs poolside. For more than a decade, the crescendo from outside the Palace has been that Southern Nevadans and the other 38 million people reliant on this river should prepare for major shortages. In the past two decades alone, streamflow is nearly 19 percent lower than what we’ve been taking, and the scientific community warns that we must prepare for shortages of 35 percent or more. But what will members of the Colorado River Water Users Association be discussing this week under the banner of their “Many Instruments, One Orchestra: The Music of the Basin” conference? A drought contingency plan that at best kicks the can down the road for another year or two, hoping nature decides to dramatically change her tune. 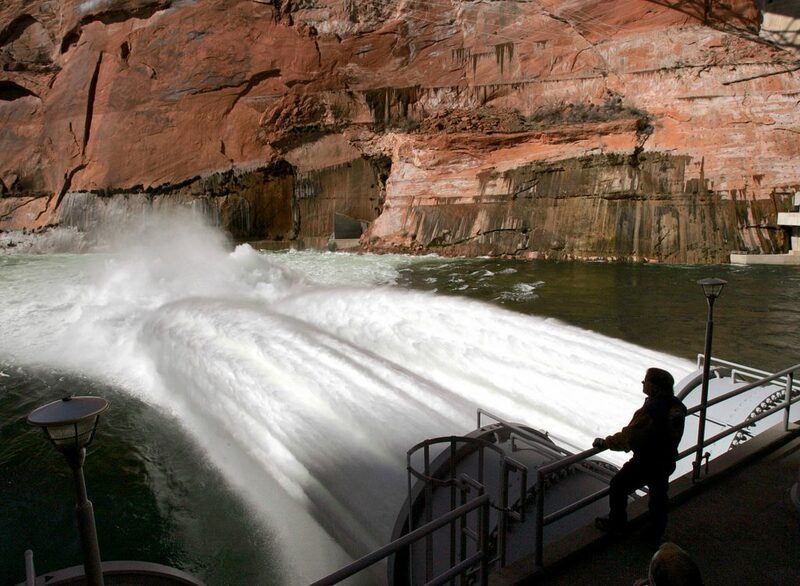 By releasing water from small reservoirs in the uppermost reaches of the basin, combined with some surplus water stored in Lake Mead, they intend to utilize a one-time buffer of some 2.7 million acre feet, which is only equivalent to the current annual supply deficit. In addition, they propose to add upwards of 1.3 million acre feet in conservation measures in the lower basin. This amount just barely covers the 1.2 million acre feet of ongoing, annual system losses of seepage and evaporation known as the “structural deficit,” which has never been accounted before, thus adding little in real savings. We’re still not even treading water here as we watch Lake Powell and Lake Mead recede further. And as these reservoirs drop, what’s going to happen to our water quality as they approach their minimum, “dead pool” levels?